It was a great week in Las Vegas with CES opening its doors on Sunday, January 6th. We are ecstatic about the opportunity to attend one of the biggest consumer electronics show in the world. It was even larger than we expected with more than 4400 companies exhibiting their products in more than 2.7 million square-feet total exhibition space, spread among the Las Vegas Convention Center (LVCC) and several hotels on the Las Vegas Strip including the Wynn, ARIA and the Venetian hotels. It is difficult to explain how overwhelming it was when we first walked through the gates of the LVCC. According to the CES statistics, more than 180 thousand people visited these exhibition halls and hotel venues over 3 days. The scene in LVCC certainly suggested a large crowd and that was just a fraction of the people in total. 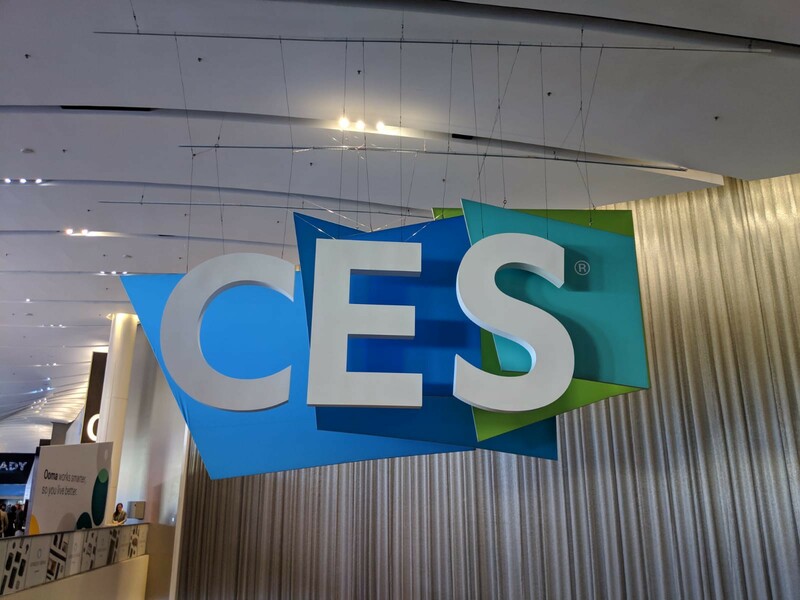 Without getting lost in the statistical numbers we would like to go over the highlights of our visit and our observations of CES events in general. First and foremost, it was impossible not to notice the new developments and reveal of 8K televisions by the major companies like LG, TCL, Samsung and Sony along with many others. On top of the 8K development, there were also Roll-Up OLED televisions which were impressive, to say the least. Of course, if the TVs are rolling up, other visual devices like tablets weren’t far behind. We were fortunate enough to try out the new foldable tablets, which essentially operate both like a tablet and a phone, with interaction capabilities still intact on the spine of the devices when folded. There are still some improvements needed with these, but it is downright impressive as it currently is. 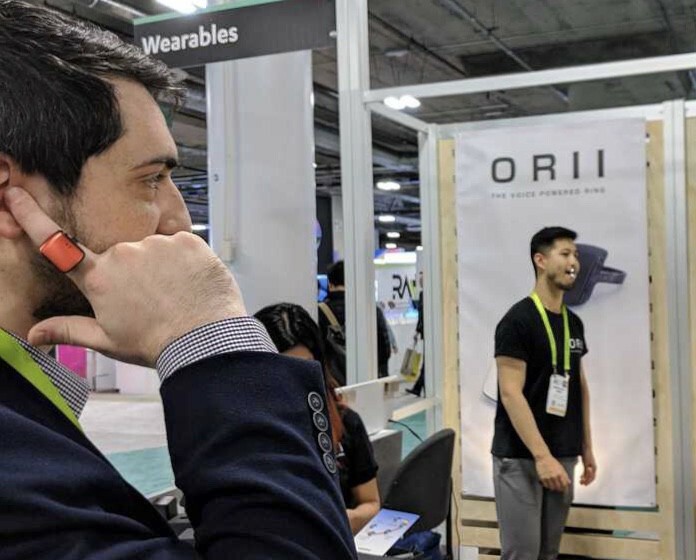 Another interesting development: we saw more bone-conduction audio products which we first experienced in Techcrunch. This technology sends vibrations to the bones of your skull through a device, with the waves eventually reaching the bones in your ear. This means these devices, without actually producing any sound that can be overheard by anyone in the vicinity, can be heard crystal-clear by the user themselves. This is an interesting technology, and the solution we saw is enabling its users to listen to music without blocking the environmental sounds. Apart from these advancements that were thoroughly covered in the mainstream media, we also noticed that a significant number of the large manufacturing companies like Bosch and TCL, along with e-commerce giants like Amazon and Alibaba are pivoting their businesses from their traditional cores, and started calling themselves technology companies rather than manufacturing or e-commerce. Alibaba, for example, had a booth in the LVCC, promoting their technology and not their e-commerce platform. These giants are now advertising the advancements they made with their tech and its capabilities more than the products they manufacture utilizing these technologies. 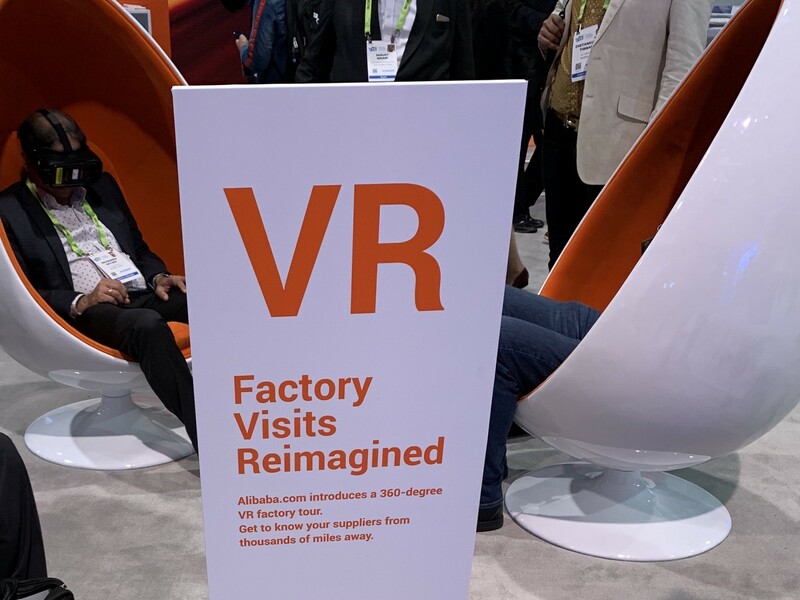 AR/VR is also covering new ground in strides, as there were many companies showcasing their applications developed on the prominent AR/VR capable devices. There were some very interesting products developed in this area, and we noticed some trends concerning both AR and VR. Most of the AR companies are converging on similar use cases and scenarios. They are all advertising remote assistance and instructions that are mainly for maintenance purposes. This can be really useful since there are a lot of multinational companies that have different specialists in different locations, who need to be transported to the location of the malfunction. AR can be really helpful in this regard, with the support of an application specializing in this the specialist is enabled to assist a local employee on how to perform the necessary operations in a visualized manner. VR companies, however, were more focused on gaming solutions. This was a pleasant surprise as they are getting better each year. We had the pleasure of trying out a new VR rollercoaster where you are lifted up in the air by robotic arms, and get shaken/spun around while the VR goggles are providing the visuals. This is a very impressive merger of VR and Robotics and we were taken away by it. We weren’t the only one though, there were many people watching and participating in the demonstration. Google was in the spotlight throughout the show. There were various products on display that included voice assistant features as we explained previously. Of course, there are some companies who were using their own solution for the natural language processing (NLP), but the majority of the products utilized either Amazon’s Alexa, Apple’s Siri, Samsung’s Bixby and the Google Assistant. Siri and Bixby were relatively low-key, but Alexa and Google were almost everywhere. 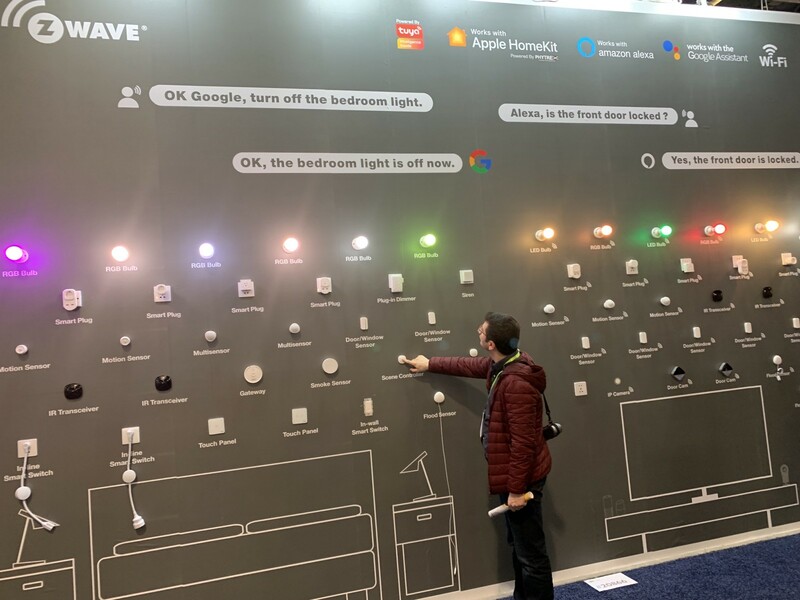 Google, being aware of this, placed a very easily identifiable Google employee in the booth of every product that uses the Google Assistant, helping prospective customers and demonstrating the capabilities of the Assistant. The other voice assistant products were underrepresented and shadowed compared to this move by Google. This also provides a nice segue to our main observation in CES. We witnessed an incredible surge of supply in voice assistant features in all kinds of products. We have seen speakers, smart locks, televisions, drones and even lightbulbs with voice assistant capabilities. There was also a huge increase in robots performing various tasks as concierges, greeters, information hubs, personal assistants, children and elderly assistance, etc. This is especially interesting to us as Maxitech. For the past couple of years, we have been working in both of these fields with Isbank Turkey. We have two products that were revealed and released for public consumption last November. One of these is a voice-enabled financial assistant Maxi, which the customers can access through Isbank’s mobile application IsCep. The other is the utilization of Pepper, the first robotic employee of Isbank, working hard greeting and assisting customers in the bank’s branches. Seeing these technologies and solutions become mainstream and included in everything imaginable validated our work and we have to say that we’re very proud of that.